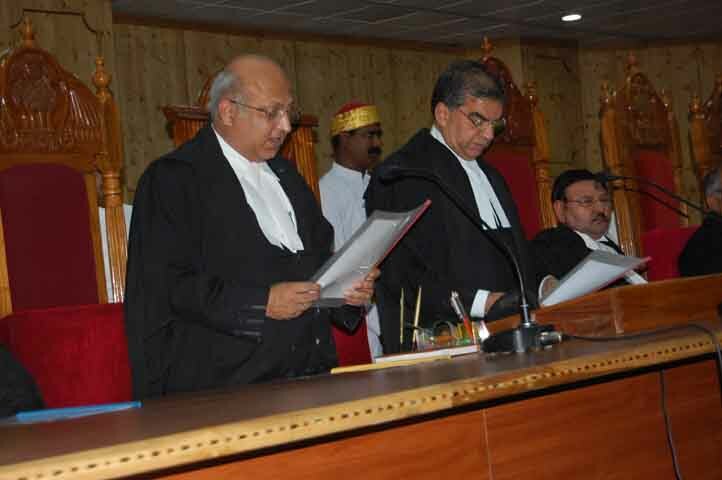 Imphal, Mar 22 : Justice Abhay Manohar Sapre will be sworn in as the Chief Justice of the new Manipur High Court tomorrow by Governor Gurbachan Jagat. Justice Sapre, a former judge of Chhattisgarh High Court, was appointed on March 19 by President Pranab Mukherjee, official sources said today. Manipur High Court will have three judges including Chief Justice Sapre, the sources said. Judge of the Guwahati High Court N Koteswar Singh has been appointed as one of the judges of the high court. The third judge will be appointed soon, the sources said. The new Manipur High Court will be inaugurated by Union Law and Justice Minister Ashwani Kumar on March 25. Supreme Court Chief Justice Altamas Kabir and Manipur Chief Minister O Ibobi Singh will be present at the inauguration ceremony, the sources added.